Statistics show that more and more people turn to online dating as a way to find a lifelong partner. Meeting through family and friends is still the most popular way couples meet, but virtual dating has become a close second. 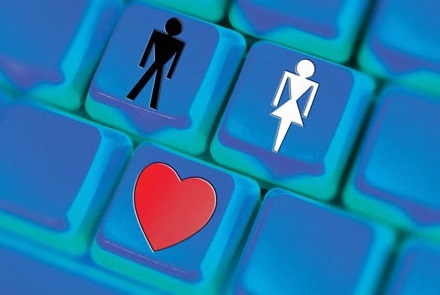 In today’s article, we are going to examine why online dating has grown so popular. Why do so many people find their way to dating sites? Let’s take a closer look. 1. Online dating and time. One of the major reasons people turn to online dating sites these days is their hectic work schedule. There simply may not be enough time to go out on dates with people you aren’t sure you like. The profiles on online dating sites are so thorough it is easier to find like-minded people. That is a huge time saver, and it also gives you a better chance of finding someone you click with right away. Keep in mind that you don’t want to narrow the search down too much. Leave some room for surprise. Dating in person can involve quite a bit of stress. People often worry about what to wear, what to say, where to take the person, who pays for the date, getting rejected, and so on. In the online dating world, there is much less reason to be concerned. Being rejected through a letter is much easier than going out with a person, beginning to like them and then having them turn you down for future dates. There are so many different people you can reach. From every background, every level of education, every personality. There can be a bit of a downside for this as well. Sometimes, singles get tunnel vision when looking for a partner. They don’t compromise on anything, and that may narrow the search down too much. It can truly hinder your search. It is okay to know what your type is but don’t forget to give different people a try. Online dating is all about exploring a new world. Also, you can choose between a paid online dating site as well as free online dating sites. Depends on what services you think you need.